2006 PONTIAC TORRENT. REMOVED FROM A 2005 SATURN VUE. 2002-2007 SATURN VUE. 2005-2006 CHEVY EQUINOX. 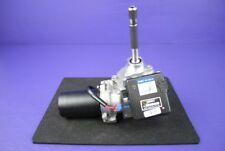 THIS STEERING PUMP IS IN EXCELLENT USED CONDITION AND FUNCTIONS AS INTENDED. BUY WISELY, MAKE SURE YOU ARE BUYING THE CORRECT PART NUMBER FOR YOUR VEHICLE. This will Fit 2007 to 2009 Chevy Equinox and 2008 to 2010 Saturn Vue. This was removed from a 2009 Saturn Vue. Trending at $121.94eBay determines this price through a machine learned model of the product's sale prices within the last 90 days. 2005-2010 CHEVY COBALT - ELECTRIC MOTOR. REMOVED FROM A 2008 CHEVY COBALT. 2003-2007 SATURN ION - ELECTRIC MOTOR. 2006-2007 CHEVY HHR - ELECTRIC MOTOR. 2008-2010 CHEVY HHR - ELECTRIC MOTOR, EXC. 2011 CHEVY HHR - ELECTRIC MOTOR. Part #: 22846972. 2012-2013 Chevrolet Impala. Genuine GM OEM Part. PART NUMBER: 19117588, 25803284, 0273010111. REMOVED FROM 2011 CHEVY EQUINOX. EQUINOX 10-12 electric. TERRAIN 10-12 electric. THIS MOTOR IS IN GREAT USED CONDITION AND ALL FUNCTIONS WORK AS INTENDED. VERANO 13-16 (electric assist). CRUZE 13-15 (electrical assist). LACROSSE 13-16 electric assist. REMOVED FROM A 2013 CHEVY MALIBU 2.5L. MALIBU 13-15 (electric assist). REGAL 14-15 (electric). This pulley has a stamped number of 12604004-RF and was superseded by pulley number 10085755-AAS. For sale is a power steering pump pulley. We are located in Albany, Oregon. IMPALA 06-09 3.5L. IMPALA 06-09 3.9L. IMPALA 10-11. This is not a perfect reservoir but it is in great condition with a few small dings. This reservoir was on my show truck but I switched to a smaller round can style. This may fit other years/models as well. TRANSMISSION - FWD. ENGINE - 3.6L V6 GAS 281HP. Premium Power Steering Rack and Pinion 23 Piece Seal Kit for Chevrolet Corvette 1984-1996. 1 Rack Pinion Ring. Upper, Lower Pinion Seal. 4 Pinion Teflon Rings. Chevrolet Corvette 1984-1996 All. This pressed on pulley has a stamped number of 354324AB. This was superseded by 14023172DA. 1975-1982 Chevrolet Corvette with 350 Cid 5.7L engines. The inside bore is. 750". We are located in Albany, Oregon. Item for Sale: Power Steering Pump Bracket Fitment: 1987-92 Chevrolet Camaro 2.8L, 3.1L V6 engines 1987-92 Pontiac Firebird 2.8L, 3.1L V6 engines This may fit other years and other makes and models, so do your homework to determine if it's the one you need Specifications: Casting Number - 10137045 Warranty: 30 Day Guarantee If you have any questions regarding this part contact us by email. 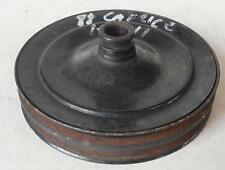 The steel pulley has a casting number of 3941107DE and is a good straight pulley. The inside bore is. 625". 1967-72 Chevrolet Camaro With A/C 350 Cid engines. You will also be responsible for any duties that your country will add to the cost of your freight. 6.0 LS2 RWD. 2005 CHEVROLET CORVETTE. Be sure for what you buy! - it is an electronic part in good condition. - don’t need it any more;. - wrong part ordered;. - doesn’t fit;. - changed you mind;. Casting - 14023173 DB. NOTE: You may not receive the exact pulley pictured. For sale is a power steering pump pulley for the following applications 1978-92 Chevrolet various models. NOTE: This may fit other years, makes, and models. FITS GM ENGINES WITH A PRESS ON POWER STEERING PULLEY. TOYOTA LAND CRUISER POWER STEERING PUMP. HAS BEEN REBUILT. BTB PRODUCTS. CHEVROLET MONTE CARLO [STEERING_PUMP] 3.4L 00 01 02 03 04 05. Model: MONTE CARLO. MONTE CARLO 1995 -1995 6-191 (LS, 3.1L). MONTE CARLO 2000 -2005 3.4L. MONTE CARLO 1996 -1999 6-191 (3.1L). REGAL 1995 -1995 6-191 (3.1L), w/o variable assist power steering. SILVERADO 1500 PICKUP 03 Crew Cab. SILVERADO 2500 PICKUP 07 classic style (creased door skin), gasoline. SILVERADO 2500 PICKUP 03-06 6.0L. SILVERADO 1500 PICKUP 07 classic style (creased door skin), Extended Cab, 4x4, w/o hybrid; w/6.0L, VIN N (8th digit). The stamped number on the pulley is 14023172-DA and will interchange with the 354324AB pulley. 1975-1982 Chevrolet Corvette with 350 Cid 5.7L engines. The inside bore is. 750". We are located in Albany, Oregon. SILVERADO 1500 PICKUP 01-02 exc. Crew Cab; 4x4. SILVERADO 1500 PICKUP 99-00 4x4. SIERRA 1500 PICKUP 99-00 4x4. SIERRA 1500 PICKUP 02 exc. SIERRA 1500 PICKUP 01 exc. Crew Cab; 4x4, w/o C3. AVALANCHE 1500 02 vacuum brake booster, 4x2. 2006-2007 CHEVY HHR - ELECTRIC MOTOR. 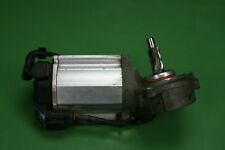 2008-2011 CHEVY HHR - ELECTRIC MOTOR, EXC. 2007-2010 PONTIAC G5 - ELECTRIC MOTOR. 2005-2006 PONTIAC PURSUIT - ELECTRIC MOTOR. FITS- 2005-2010 CHEVY COBALT - ELECTRIC MOTOR. The pulley is included unless it states "- pulley" below. No reservoir included. UPLANDER 2006 -2009. There may be differences between the engine size or steering options. Our goal is to eliminate any surprises upon arrival. 1978-81 CHEVROLET Camaro 8-Cyl USED power steering pump pulley 14023174-DC. 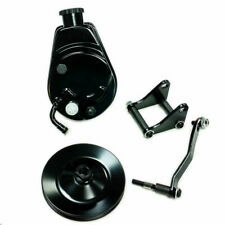 For sale is a used power steering pump pulley for the following applications 1978-1993 Chevrolet, GMC, Pontiac 305ci V8. 1978-1993 Chevrolet, GMC, Pontiac 350ci V8. The pulley is included unless it states "- pulley" below. No reservoir included. UPLANDER 2005 -2005. There may be differences between the engine size or steering options. Our goal is to eliminate any surprises upon arrival. 1967-1982 Chevrolet Corvette All. 1967-1979 Chevrolet Nova, Chevy II All. 8 Piece Seal Kit For 67-84 Chevrolet. Premium Power Steering Pump. 1967-1984 Chevrolet Belair, Biscayne, Caprice, Impala, Kingswood, Townsman All. STEERING COLUMN COLUMN SHIFT TILT AUTOMATIC FITS 71-74 CHEVROLET PASS. Good cond, wheel is nice but needs cleaning. THIS PART WAS PULLED FROM A USED VEHICLE, IT IS NOT NEW. Casting - 354325AC. 1978-81 Chevrolet Camaro with V8 engine. For sale is a power steering pump pulley for the following applications We are located in Albany, Oregon. There are a few good YouTube videos showing the process for this repair, search for “chevy trailblazer power steering line repair” and look for the video by Nthefastlane. Chevy Trailblazers from the early 2000’s have a notorious flaw that leads to a leak in the power steering line on the driver’s side just behind the battery. No expedited. Most areas in the. Pick up at our facilities is available. Electrical parts. Parts not handled or installed properly. Parts installed on any vehicle with non factory applications. Body sections cut from a vehicles. Model: CHEVY MALIBU. MALIBU 13-15 (electric assist). MALIBU 16 (electric assist), VIN 1 (4th digit, Limited). Power Steering Pump/motor. CHEVROLET CRUZE 16 VIN P (4th digit, Limited). Part Grade Abbreviations. OEM 2012-14 Chevrolet Sonic power steering motor. Model: CRUZE. CRUZE 2013 -2015 (electric assist). CRUZE 2016 -2016 VIN P (4th digit, Limited). MALIBU 2016 -2016 (electric assist), VIN 1 (4th digit, Limited). MALIBU 2013 -2015 (electric assist). LACROSSE 2013 -2016 electric assist. Model: EQUINOX. EQUINOX 2010 -2012 electric. TERRAIN 2010 -2012 electric. For sale is a power steering pump pulley. We are located in Albany, Oregon. LKQ SKU: LKQ386 ~205073552 SPM00110. This is NOT a manufacturer part number, and can be disregarded. We do our best to prevent these issues from happening and apologize for any inconvenience it may cause. COLORADO 09-12 3.7L. COLORADO 09-12 2.9L. COLORADO 04-08. Your premiumPower Steering Pump will be boxed and padded for protection. ISUZU I-280 06. ISUZU I-350 06. All parts you see in the vehicle pics are for sale. 1982-86 Chevrolet S10 pickup 2.8L. For sale is a power steering pump pulley for the following applications NOTE: This pulley may fit other years, makes, and models. We are located in Albany, Oregon. 1987-89 GMC S15 pickup 2.8L engines. 1987-90 GMC S15 Blazer 2.8L engines. 1987-93 Chevrolet S10 pickup 2.8L engines. 1987-89 Chevrolet S10 Blazer 2.8L engines. 1987-92 Chevrolet Camaro 2.8L, 3.1L engines. 1965-68 Chevrolet Impala, Nova, with 283ci, 327ci, 350ci engines. This bracket does not have a cast number. This bracket has a 1.0" round hole on the front and the spacing for the 2 bolt holes on the back is 1.625" (1-5/8") from center to center.